George RR Martin is an interesting guy. He's written the A Song of Ice and Fire novels that became the basis for HBO's highest rated show of all-time, Game of Thrones. He's created characters we love (Tyrion Lannister) and characters we hate (Joffrey Baratheon), and ones were still not sure about (Jaime Lannister). He made Westeros and the Free Cities so real, that some of us know the vassal lordships of Winterfell better than we know our state capitals. Every author has their eccentricities, but in pumping out the nearly two million words that weave his epic, GRRM takes quirkiness to an extreme. When it comes to George RR Martin habits and advice, many writers and fans have plenty of questions. Here are the most surprising twists in Martin's writing process - George RR Martin creativity and eccentricity revealed! You might think that juggling literally millions of words takes newfangled word processing software. Wrong! 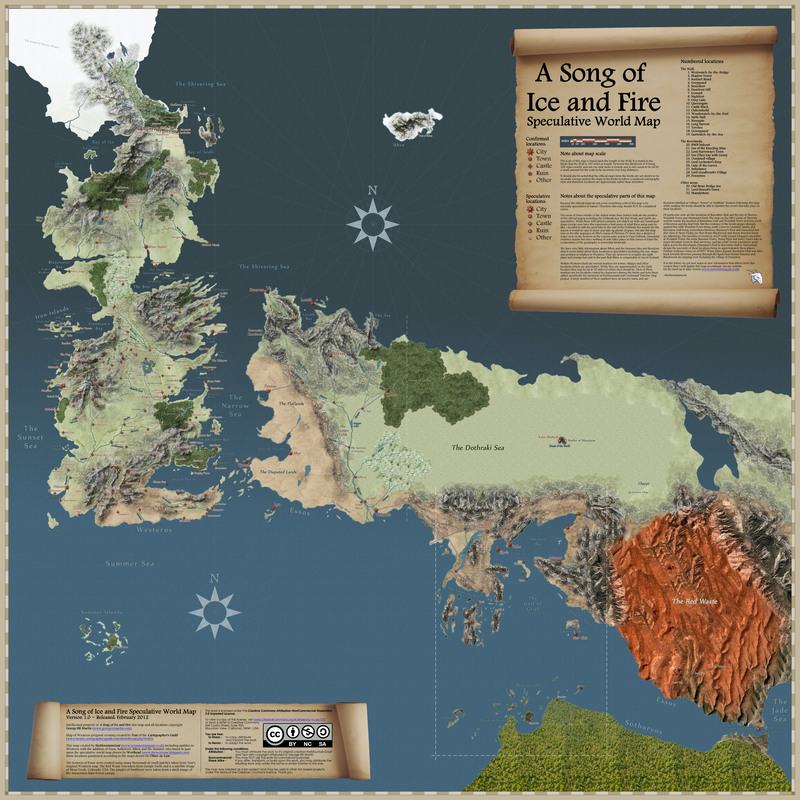 A Song of Fire and Ice got its processing from WordStar 4.0. This program got its last update in 1999. The fascinating geography of Westeros and the Free Cities is one of the most satisfying characteristics of the books. The spatial relationships define the drama as it plays out across all parts of that iconic map. For such an involved and intricate world, mapping it out must have taken forever, right? GRRM drew the map in "about 30 minutes." Deadlines, or perhaps more accurately "fan requests for speedier writing," do not matter to GRRM. That's why he let six years go by between A Feast for Crows and A Dance with Dragons. Here's the thing though; since those two novels feature concurrent storylines about different characters, some of the characters in A Dance with Dragons hadn't been mentioned since A Storm of Swords... 11 years earlier. But guess what? Zero f*cks are given as to when you'd like to read his next book. Have you noticed that the characters on Game of Thrones are drinking some manner of booze in almost every scene? That's probably not a coincidence. According to GRRM, his father was a "functioning alcoholic" who avoided drunk driving by giving up driving.